ELECTION season is upon America – and so this week we take a peek into some of the podcasts providing a look at the political landscape during the countdown. Nate Silver became the most respected name in political analysis with his FiveThirtyEight column in the last round of US elections – and analysis is the beating heart of this podcast. But don't expect a dry show full of statistics and numbers, instead this is a real delight of a show, with a panel of guests – including Silver – talking about the political issues of the day. The latest show comes from the Playstation Theater in Broadway, and is timely considering the recent bombing attack on New York, with the guests looking at the response to the attack and the likely effect it will have on the political landscape, particularly ahead of the first presidential debate between candidates Hillary Clinton and Donald Trump last Monday. There's an air of defiance in the New York audience coming out to a show in the wake of the bombing, but the show takes the situation in its stride as it focuses sharply on the ebb and flow of political polls, and the narratives of election season. If you're a Donald Trump supporter, this probably isn't the show for you, as the host and guests generally sound baffled at the lack of any cohesion to the Republican's policies and approach. Yet they take it seriously, and this is one of the most informative and neatly analysed looks at the current political landscape. It's fun too – full of snark and laughs such as the speculation that Donald Trump might launch his own brand of tacos. In short, if you want to be up to speed with the nitty gritty detail of the US election but want to have fun while keeping up with it, then this is absolutely the show for you. The Presidential podcast takes a look back across the history of previous presidents to sit in the White House – and it's a fantastically educational show. The latest episode takes a look at Gerald Ford, the president who arrived by circumstance rather than by being voted in, and in turn, the show talks to three guests – Ford's son, Steven, Berkeley professor Daniel Sargent, and former White House photographer David Hume Kennerly. Ford took office in unlikely fashion. 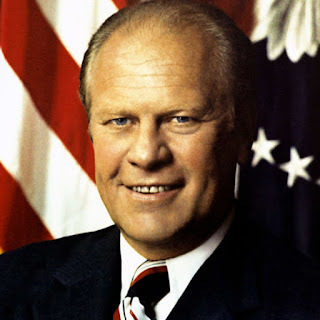 He became the first person to be appointed to the vice-presidency under the 25th Amendment after Spiro Agnew's resignation, then became president after Nixon's term ended in scandal and resignation. The unelected man, Ford, stepped up in Nixon's place. The warmest insights come from Ford's son, who talks of the man who would become President. He talks of how Ford met his biological father only once, in his teenage years, a man who had not been in his life until then and suddenly arrived looking to take Ford to live with him, an offer Ford roundly rejected, saying that his father, Leslie Lynch King, had never been his real father. Instead, he was raised by his stepfather and his mother, and grew into a man with long years in politics, who spoke of not being able to work with his opposition unless he could break bread with them too, who would sit down with rivals to work out the best solution rather than hurl abuse across the aisle. Kennerly too highlights the humility of the man, revealing an argument over photographs of war in the White House, which were to be taken down until Ford intervened and insisted that images showing the consequences of war were never to be removed, as they acted as a reminder of the outcome of decisions made by those in office. His personal troubles are also highlighted, such as the fight against breast cancer endured by his wife, Betty, and the effect that had on the then president. The desire for bi-partisan politics and the humble approach of Ford marks a very different figure from today's challengers. In the end, he never did win a presidential election, losing out after his only term to the future President Carter. This is a great podcast, very well worth your time and your attention. One of the biggest names in journalism is Time magazine – so it makes it rather inexplicable that the company's politics podcast is so weak. An array of short, indeed super short, podcasts is available. These clock in at just a few minutes each and it's hard to fathom who the audience is, because they are so brief. 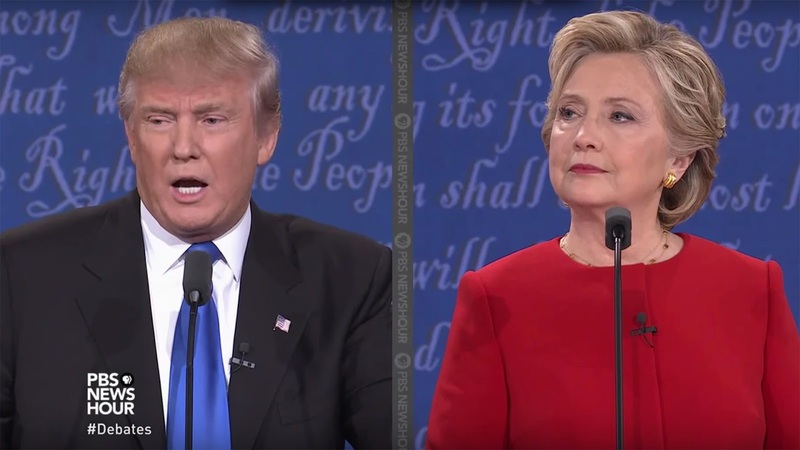 The latest episode lasts just a little over three minutes and ostensibly is a rundown of how each of the major candidate's policies will affect the US national debt – Clinton's policies seeing it rise by about 1%, Trump's seeing it rise by nearly a quarter. But there's just so little of it that it's hard to feel any substance to it – it almost feels like someone is simply reading a press release. Another episode, on Trump's appeal to black voters, lasts just over a minute, and cuts off mid-sentence. It looks suspiciously like this is an area of Time's repertoire that is overlooked and neglected, and frankly for such a strong brand, you would expect them to do better. Got any recommendations for podcasts to cover? Let me know at @AlteredInstinct or in the comments below.